Creative IT is a leading Compaq laptop repair company based in Central London and serving individual and small/medium sized business clientele in the UK for the past 15 years. We endeavour to deliver cost effective laptop repair and upgrade services while ensuring exceptional quality. At Creative IT, our knowledgeable laptop technicians and hardware engineers have superior expertise in troubleshooting and repair of Compaq laptops and are dedicated to provide our customers with the best services at highly competitive rates. Our Compaq laptop repair service technicians are all set to help you with your entire repair and upgrade needs. They will promptly diagnose your problem and offer you with a quote inclusive of all parts and labour. At Creative IT, we have the competence and know-how to troubleshoot and fix hardware and software laptop issues. We specialise in the repair and upgrade of all models in the Compaq laptop range including Compaq Armada Notebook PCs, Compaq Concerto PCs, Compaq Contura PCs, Compaq Evo Notebook PCs, Compaq LTE PCs, Compaq Mini PCs, Compaq Notebook PCs, Compaq Portable PCs, Compaq Presario Notebook PCs and Compaq ProSignia Notebook PCs. Our technicians have good experience in component level laptop repair and accordingly Creative IT offers professional laptop motherboard repair service for both individual and business customers. At Creative IT, we strive to be your primary and last choice for all your Compaq laptop repair, upgrade and replacement requirements. At Creative IT, we offer same day Compaq laptop repair services to customers based in and around London and fast services to UK customers. We can also arrange professional courier pick up services for those who cannot bring their out of order Compaq notebook to our Central London repair centre. Since our technicians and laptop hardware engineers have specialist knowledge of all Compaq laptop models, our repair and upgrade services are quick, dependable and well-organized. 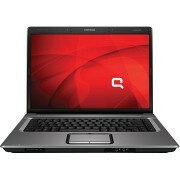 Our Compaq laptop repair charges are quite reasonable. An estimate of the repair charges is informed to the client and approval is taken from the clients before the repair or upgrade process is done. To be familiar with more about our London Compaq laptop repair services, get in touch with us at 020 7237 6805 or e-mail us at info@creativeit.tv.